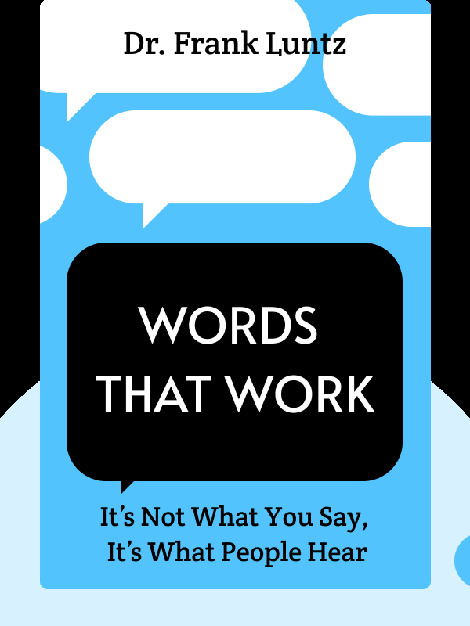 Words That Work (2007) is a guide to getting your point across more efficiently and effectively. These blinks explain the power of language and how it can help you in any number of situations, from business to political discussions to getting out of a traffic ticket. 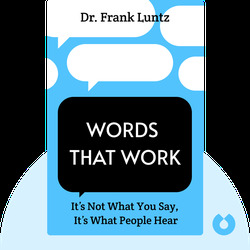 Dr. Frank Luntz is a renowned pollster and public opinion guru who regularly works as a communications consultant for American politicians. He has led over 1,500 surveys and focus groups, and has contributed to numerous political and corporate campaigns.